In a move that hopes to revolutionise home deliveries and reduce 90 per cent of 'Last Mile' costs, an electric autonomous delivery vehicle is about to be unveiled in London. The movement of goods between a transport hub to a delivery address, commonly known as 'the Last Mile', is becoming increasingly popular. With the online purchasing markets growing, retailers are under pressure to improve delivery in terms of speed, price, service and quality. The Academy of Robotics has launched an unmanned, electric delivery vehicle as an innovative solution to deal with this demand. Enter, the Kar-Go. 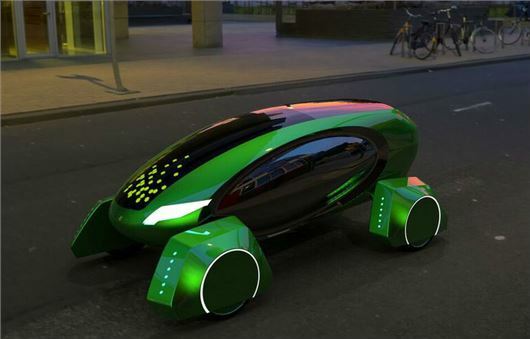 The Kar-Go is designed to autonomously drive along unmarked roads, like residential areas, and pavements. However, it has a wider scope to operate on public roads and has linked with UK car manufacturer Pilgrim to gain the appropriate requirements - like insurance - to be able to drive legally on the street. A prototype will be unveiled in London on Wednesday 14 June 2017. The vehicle can also be seen at the Kar-Go and Pilgrim-branded warehouse in Brighton. Kar-Go will launch its first delivery with a major household FMCG brand later in 2017. The founder of The Academy of Robotics, William Sachiti, said: "We can now modify vehicles by adding our driverless car sensors, A.I. software and our package management system... As the vehicle arrives at each delivery address, the system automatically selects the package belonging to the corresponding customer." The Kar-Go can carry up to 180kg, with delivery charges expected to be as low as £1. However, its electric range is only about 30 miles.